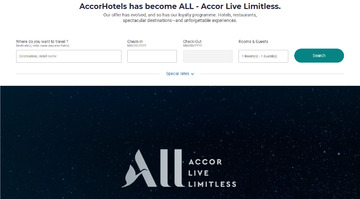 With over 4,400 hotels in 90 countries and 12 hotel brands from luxury to budget, Accor offer some of the world's most recognized and respected hospitality brands such as Sofitel, Novotel, Mercure, ibis and more. Cash back can only be earned on cancellable rates if the member completes its hotel reservation and stays at the hotel. Click a Coupon or click Start Shopping to earn 2% Cash Back at Accor Hotels.